Although it has a lot of potential to improve Meebo’s functionality for Firefox users, it also has a vexing feature that seems to make the entire extension irrelevant (except for the popups). 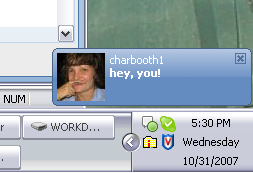 When you’re signed into Meebo via the extension and you either send or receive a message your traditional Meebo account opens in the browser window and provides your IM window per usual. 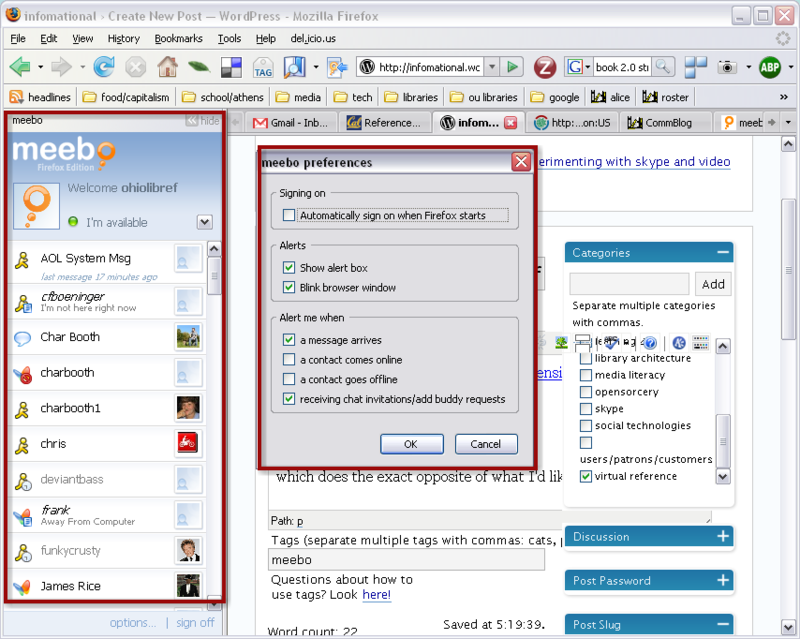 Then, if you close the Meebo tab you are automatically signed out of both the extension and the web client. Why can’t the extension operate on its own? Ugh.